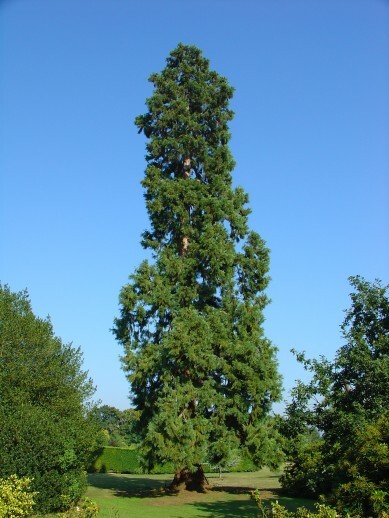 This fine Wellingtonia sits in the grounds of a fairly large house called Cheshunts, at Boxted. Its location demonstrates how single specimen trees such as this should be planted - away from other trees, with plenty of room to grow. Consequently, although it is not a particularly broad example, it has not lost its lower branches (as they naturally tend to do when shaded).